Dog owners might all have the same question: when do puppies lose their teeth? It's a good idea for dog owners to have an idea of when their puppies are going to lose their teeth. Obviously, puppies are not all going to lose their teeth at the exact same time. It's important to remember that breed differences between dogs are also essential to take into consideration. Dog breeds can often be so different from one another that they almost seem like members of different species, even though they aren't. However, there are still certain trends in canine development to keep in mind. ​Puppies get their baby teeth at around three weeks of age. They won't have back molars because they are relying on their mother's milk at that point. Puppies will typically start losing their baby teeth and getting their adult teeth at around four months of age. They will usually only have around twenty-eight puppy teeth. As adults, dogs will have about forty-two teeth. When dogs are around eight months old, all of their adult teeth should be present and accounted for, at least with most breeds of dogs. Adult teeth in dogs are going to be sturdier, but they will typically be less sharp than puppy teeth. ​Bigger dogs might manage to get their teeth slightly sooner, and smaller dogs might get their teeth slightly later. Larger dogs are typically more closely related to wolves. Smaller dogs have literally been bred for a more puppy-like appearance and more puppy-like qualities. As such, it isn't surprising that they are literally going to seem like they stay puppies for longer. ​Small dogs typically have tinier and narrower jaws, and this means that they are not going to have as much room for their teeth. They might be more prone to problems with crowding than larger dogs. They also might have fewer teeth than some larger dogs. 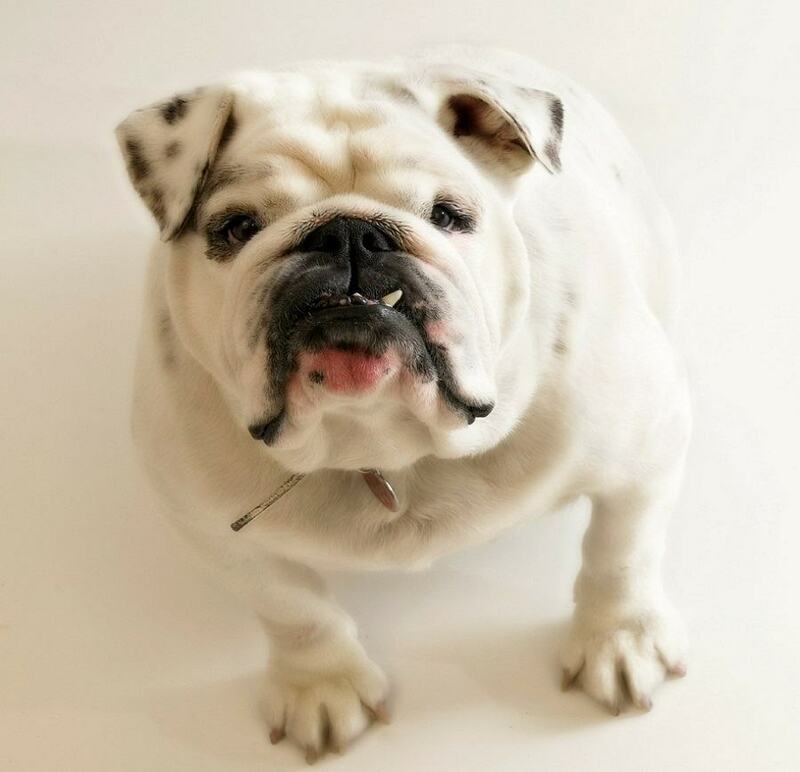 Bulldogs, Boston Terriers, and boxers tend to have larger jaws on the bottom than they do on the top, and this can have an effect on their teeth and their bites. ​Puppies might need to get tooth extractions if they are not losing their puppy teeth in time to make room for their adult teeth. This is a fairly common problem that they all might experience at certain points. ​Adult teeth will be coming in behind the puppy teeth, and they are essentially going to push them out as part of tooth development. ​Some puppies will take a long time to lose their puppy teeth. Losing those teeth over the course of eight months or so is not that uncommon. Developmental milestones vary with all creatures, and that includes puppies. Puppies that are in the process of teething are going to have really bad breath. While they usually have bad breath anyway, their breath is going to be particularly bad during this time. People might notice the same thing with adult dogs that are losing their adult teeth in old age. The bleeding or sore gums are going to create something of a haven for certain types of bacteria, and this is going to contribute to a truly terrible odor for dog mouths. It also means that dog mouths are going to be dirtier during this time. There are dogs that are not going to have their teeth form according to a normal pattern, such as hairless Chinese crested dogs and Chihuahua dogs. Owners might have to take them to the vet in order to make it possible for them to get the help that they need with this tooth formation. If pet owners suspect that there is a problem with the teeth of their dogs or if they think that the dog teeth are coming in abnormally, it is always a good idea to consult a vet for dental care. A vet might be able to refer the dog to a canine dentist, or it might be something that a non-specialist vet might be able to address. Puppies that do not have all of their adult teeth by the age of nine months might need some help. This might signal that there are issues at work that need to be addressed. Dog owners should remember that dogs are individuals and there will be some variations when it comes to their tooth development. There are trends to keep in mind, of course, and this will help bring order to all of the chaos inherent to animal development of all kinds. However, it is a good idea for people to remember that many tooth problems in all animals can still be corrected, and they really don't have to worry one way or another. Puppies will get their teeth when they get their teeth.